Throughout his career, Kenny Dorham was almost famous for being underrated since he was consistently overshadowed by Dizzy Gillespie, Fats Navarro, Miles Davis, Clifford Brown, and Lee Morgan. 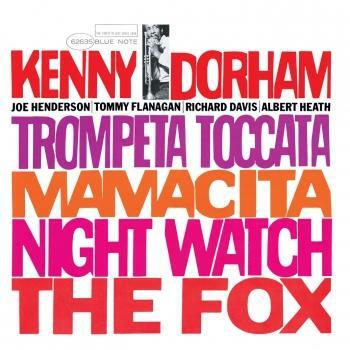 Dorham was never an influential force himself but a talented bop-oriented trumpeter and an excellent composer who played in some very significant bands. In 1945, he was in the orchestras of Dizzy Gillespie and Billy Eckstine, he recorded with the Be Bop Boys in 1946, and spent short periods with Lionel Hampton and Mercer Ellington. During 1948-1949, Dorham was the trumpeter in the Charlie Parker Quintet. After some freelancing in New York in 1954, he became a member of the first version of Art Blakey's Jazz Messengers and for a short time led a group called the Jazz Prophets, which recorded on Blue Note. After Clifford Brown's death, Dorham became his replacement in the Max Roach Quintet (1956-1958) and then he led several groups of his own. He recorded several fine dates for Riverside (including a vocal album in 1958), New Jazz, and Time, but it is his Blue Note sessions of 1961-1964 that are among his finest. Dorham was an early booster of Joe Henderson (who played with his group in 1963-1964). After the mid-'60s, Kenny Dorham (who wrote some interesting reviews for Down Beat) began to fade and he died in 1972 of kidney disease. Among his many originals is one that became a standard, "Blue Bossa." (Scott Yanow). Source: Blue Note Records.